Start a Subscription Box - The no BS guide! Before we begin, we’ve written this blog post because we have partnered with our friends over at Subbly who make it super easy to start a subscription box business with their all-in-one solution that lets you setup your website and start getting subscribers in minutes. Go and check them out. If you are in a hurry, Subbly have provided a 46 free downloadable eBook, on how to start a subscription box, which you can find here. If you don’t know much about subscription ecommerce now is your time to learn about it and what subscription ecommerce’s benefits are as a business model and why your business should be using it. If you’re looking for some inspiration on what to sell then check out these subscription box business ideas. Are you thinking of starting your own subscription box business? First of all if you don’t know much about subscription ecommerce it is a rapidly growing market. Along with deciding what you will put inside your boxes, you also need to decide on the type of box you want to offer. There are two different models for you to choose from – a convenience box or a discovery box. Below you will find a little explanation of both box types so you can decide on the right option for your subscription box business. The idea behind convenience commerce is that consumers are provided with the same products automatically on a repeat purchase. They can set how often they would like to receive their subscription products so they are never without their essential products. 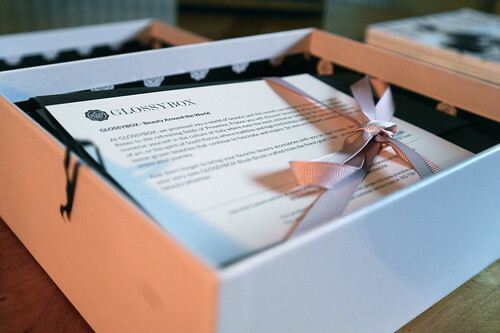 This type of subscription box is all about making people’s lives that little bit easier. By providing frequently purchased items on a subscription basis, businesses can save their customers a lot of time and effort. Subscription boxes that follow the discovery commerce model are designed to help consumers discover and sample new products that they might not have heard of or tried before. Unlike convenience commerce boxes, where consumers know exactly what they will be receiving, with discover commerce subscription boxes, there’s an element of surprise. With discovery commerce boxes, the hope is that the consumer will be introduced to new products that they love and will go on to purchase the full size versions, once they have finished their samples. 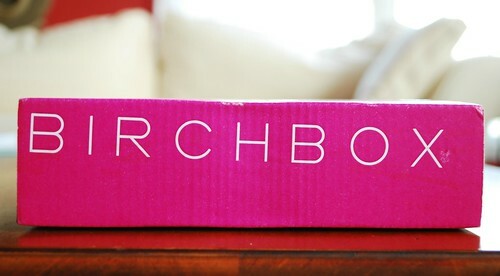 This model works particularly well for beauty boxes, with the likes of Birchbox having much success with their discovery commerce subscription boxes. Although both these box types are under the subscription commerce umbrella, they have different goals and will therefore require different marketing and merchandising strategies. 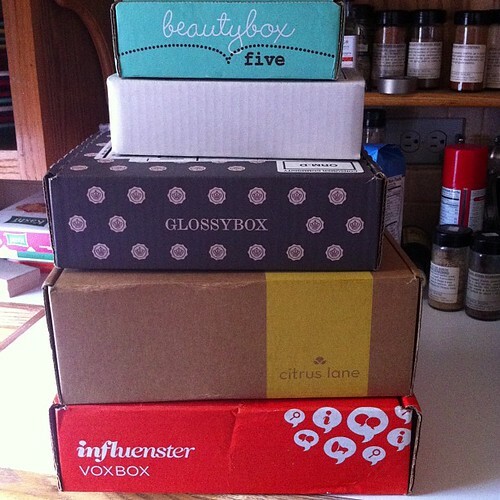 It’s up to you to decide which model will work best for your subscription box business! Once you have decided on the type of subscription box you want to offer consumers, you will need to start finding suppliers that can provide you with the products to fill your boxes. We’re not going to lie, finding good suppliers isn’t the easiest of tasks, especially when you’re just starting out but the struggle will be worth it when you end up with great subscription boxes packed full of fantastic products! Our first tip is to do your research and find out who supplies the products for your competitors’ subscription boxes. This will give you an idea of which suppliers are open to contributing to subscription boxes. This surprisingly easy thought could save much time and effort in the long run! Before discussing costs with suppliers, it’s best to check that they can actually meet your requirements and quality standards first. You need to know that they are available to supply the number of products you require for your subscription boxes by the deadline, so you can make sure they get out to your customers on time. It doesn’t matter how great their products are, if a supplier is unreliable or unprofessional, they’re not going to be any good for your subscription box business. Make sure you only choose to work with suppliers that you can rely on, as it’s not going to be them that your customers are mad with, if they don’t get their boxes on time, it’s going to be you! This will probably be the trickiest part of finding the right suppliers for your subscription boxes. In the future some suppliers may be happy to give you their products for free; as if you have a lot of subscribers it’ll mean great marketing benefits for them. In the meantime, it is likely that you are going to have to pay for the products upfront or negotiate credit terms. If at all possible, take the products on credit so the costs don’t eat into your start-up funds. Finding the right suppliers for your products is essential but it’s equally as important to find good packaging suppliers! Again, do your research, negotiate as low costs as possible (online suppliers are likely to be cheaper as they have fewer overheads) and if possible choose eco-friendly packaging, as it’ll give you a competitive edge! When it comes to logistics and fulfilment, you need to try and keep the shipping costs for your subscription boxes as low as possible in order to increase your profit margins. Here we’ve shared a few tips on how you can keep your shipping costs as low as possible. Just because you are a start-up company it doesn’t mean you don’t have any negotiating power at all. Collect multiple quotes from different shipping companies and then challenge them to fine tune their prices. If the shipping company doesn’t want you working with one of their competitors, they may give you an extra discount for good measure. Negotiating lower shipping costs will be easier once your subscription box business has taken off and you are shipping in higher volumes. The more orders you ship, the lower costs you can expect to pay. Ask yourself the question: “Does your subscription box packaging need to be as large as it is”? Reducing your box by a couple of millimetres could save a huge amount in costs and if it will fit through standard mailboxes that’s even better still! If you are just starting out and don’t have a big budget for logistics and fulfilment, why not keep it all in-house? If you only have low volumes of orders, you should be able to handle this easily enough and it will help you save a significant amount of money. Print out pre-paid postage labels (purchased via the Royal Mail website) and take your orders to the Post Office to be shipped. Our final tip is to make sure you factor the cost of order fulfilment and shipping into your subscription fees. This will prevent the costs from eating into your profit and makes good business sense! The name you choose for your subscription box is of key importance and along with your brand image has the potential to make or break your business. Your subscription box name needs to be catchy and memorable. It’s got to be different from other brand names on the market and it should represent your subscription business and the values you stand for. Make a list of brand names you like and do a few searches to check that other companies aren’t already using them and that the domain names are free. Next you may want to consider asking members of your target audience what name they prefer – working with your customers to build and improve your brand is great for engagement and loyalty. Equally as important as your subscription box brand name is your brand image. It’s important that your brand image is appealing to your target audience, fits in with the type of products you offer in your subscription box and represents the values you stand for. Branding isn’t just about creating a good looking logo (though that is important) but designing a whole personality for your brand. Try thinking about what traits your subscription box business would have if they were a person and start from there. In order to appeal to your target audience, you need to build a brand that they feel they can connect with, a brand that understands them like no other. It’s important that your branding remains consistent throughout your business, from the logo on your subscription box to the look of your Subbly website. Get the name and branding right and you stand a good chance of your subscription box being a great success. So you’ve decided to start a subscription box business! Well like all businesses today, you are going to need a website to promote and sell your subscriptions. When it comes to setting up your subscription box website, you’ll probably find that the run of the mill ecommerce platforms don’t offer the subscription payment options you require and the ones that do, well they’re far too complicated to set up. You have decided to start a subscription business – well Subbly will be perfect for you! And they have a 14 day free trial! Luckily for you, Subbly provides an excellent website and order management platform that makes it super easy to start your own subscription box service. Not only does it make it easy for you to customise your subscription box site to compliment your branding with their free subscription website templates, but it also has an easy-to-use backend where you can manage your subscriptions and orders efficiently. One of the benefits of choosing Subbly as your website and order management platform is that we will host your online store for you. There’s also no need to worry about having to set up and pay for your own hosting. If however you would like to use your own domain name, we can show you how to link it to your Subbly store, simply get in touch for more information on domain set-up. The Subbly backend makes adding products to your store very easy and quick. All you need to do is upload an image, set a price, enter a product description and your subscription box will be added to your Subbly store. We also give users the option to add videos to their shop, which can help to boost sign ups in some cases significantly. One of the great things about using Subbly is that it makes it easy for you to manage payments from your customers. Using Stripe, Subbly will automatically handle and manage your payments. All you need to do is sign up for a Stripe account (it’ll only take a couple of minutes) and you will be able to process payments. Once you have done this, you’ll be able to accept all major credit and debit cards. Payments via Stripe are 100% secure, so you can have the peace of mind that your customers’ payments will be safe. Users can set up automated notifications in the intuitive and user-friendly Subbly dashboard. These notifications will tell you when you get a new subscriber and when you need to ship out your subscription boxes. You can also set up automated notifications that inform your customers that their order has been accepted and when their subscription boxes have been shipped. In the Subbly dashboard, you will be able to locate and view all of the information you need to know about your subscribers and their orders. From here, you will also be able to print off delivery slips and check off orders that have been delivered. The great thing about the Subbly website is that it is completely responsive, meaning you can access your store’s backend and manage orders directly from your smartphone or tablet. Google punish non-responsive websites in their algorithm, so this also has additional SEO benefits too. In the backend of your Subbly website, you will have access to your store’s analytics. This section of your order management platform will provide you with a lot of useful information, such as how many people have visited your store and how many subscribers you have. The great thing about the Subbly order management platform is that it automated time consuming and tedious processes such as payment collection and confirmation emails. All you need to do is take a couple of minutes to set up your Subbly shop and we’ll take care of everything else. By automating some of the processes, we give you more time to spend on sourcing fantastic products for your subscription boxes and sending them out to your customers. Another platform you may consider is Create joy. It doesn’t matter how great your subscription box is or whether it includes some of the best new products on the market, if no one knows about it, it’s not going to sell. In order to make your subscription box business a success, you need a clever and innovative marketing strategy that reaches the right audience, in the right place at the right time. Below we’ve shared some of our tips and ideas on creating a strong marketing strategy for your subscription box business. The better your Subbly website’s SEO is, the higher up it will appear in relevant searches. It’s likely that you’ll start off the marketing process by telling your friends and family about your subscription box but if you are really serious about getting your business off the ground, you’ll need to get serious about things like SEO. SEO stands for search engine optimisation and is basically the process of getting a website higher up the pecking order on search engine results pages. The higher up on the page you appear for relevant searches, the more traffic your Subbly subscription box website will receive and the greater chance you have of gaining customers. Onsite SEO – Anything which happens onsite, for example <title>, <h1> to <h6> tags, keyword optimisation, internal linking strategy, etc. Offsite SEO – Anything which happens offsite (i.e. not within the website), e.g. backlinks through articles, blogs, forum, directories or review sites, etc. In order to make your Subbly website more search engine friendly, you need to optimise it by creating content for it and populating it with keywords. The content needs to be 100% unique and also relevant to your industry. The more interesting and engaging your content is, the more likely people are to interact with it and share it, helping to widen your marketing reach. Also don’t forget about “calls to action”, i.e. prompting people to buy something from your store. 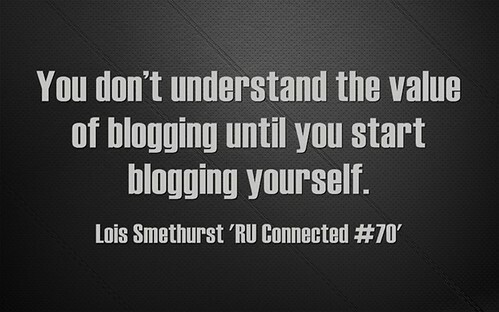 Creating informative blog posts will show customers and Google that you are an expert in your field. We definitely recommend starting a blog for your subscription box, which you can do straight from your Subbly dashboard. Updating your blog regularly with fresh, new content is a great way to attract new visitors and encourage Googlebots to crawl and index your website more frequently. Providing your content is written to a high standard and people are finding it useful, it will help to boost your search engine rankings. One thing we will say is that not all of your content has to be text based. 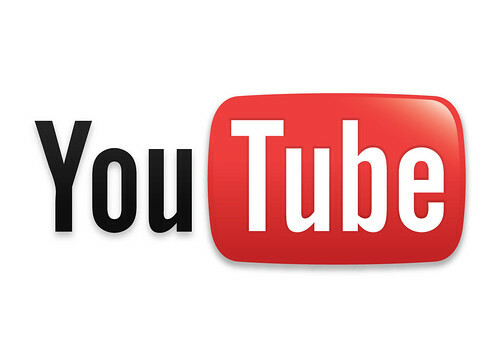 Video content has fantastic SEO benefits and really stands out on search engine results pages. Providing you optimise your marketing videos with keywords in the title and descriptions, you will stand a good chance of increasing your rankings. You can also use images throughout your posts, which are good for both readability and SEO. Gaining links to your Subbly website from other websites with high authority will also help you to boost your search engine rankings. You can either get these naturally by producing great content that is shared by other web users or by nabbing a guest blogging spot on industry-relevant websites. PPC advertising will help you direct targeted traffic to your Subbly website. You’d be wrong to assume that paid advertising is out of the question if you have only just started your subscription box business. Most start-ups can afford to put a little money aside each week to experiment with Pay per Click (PPC) advertising. Using Google Adwords (https://www.google.co.uk/adwords/), Microsoft adCenter and Facebook, you can create pay per click advertisements that drive traffic through to your Subbly website. The great thing about these ads is that you can decide who sees them, so you can target a specific audience and stand a much better chance at gaining conversions from them. It’s always worth checking out if there is a promotional offer open to new customers BEFORE signing up, Google in particular runs promotional campaigns regularly (e.g. £75 of free credit). Another benefit of PPC advertising is that you will only have to pay if your subscription box advert is clicked on. This essentially means that you will only be paying to market your brand to people who are genuinely interested in your subscription box. In the beginning, much success from PPC advertising comes from trial and error, if you are doing this large scale it could be cost-effective to employ an Adwords professional. We highly recommend testing various copy-based on the keywords you want to optimise and seeing which ads generate the most conversions. Keep an eye on your analytics and work towards achieving the lowest cost per acquisition possible. Something else you may want to consider doing is partnering up with other brands. This is good for both parties as you can both benefit from each other’s marketing resources and reach. 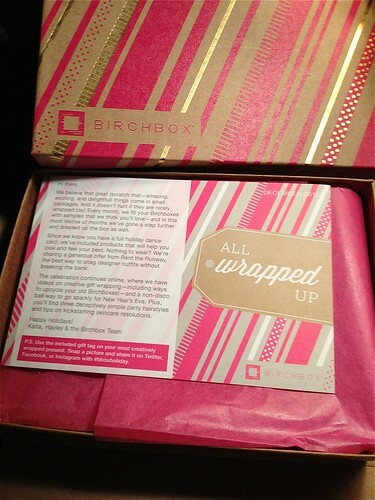 An example of this was when the beauty and lifestyle brand Birchbox teamed up with designer brand Lulu Guinness to create a special edition subscription box. Lulu Guinness benefited from getting their products and marketing materials included in the Birchbox subscription boxes and Birchbox benefited from getting their products mentioned and advertised by Lulu Guinness on its blog and social media pages. Graze Box provides its subscribers with discounts and incentives to get other people to sign up. There’s nothing quite like a coupon or discount to get people to sign up to your subscription boxes! Offering customers their first subscription box at a discounted rate is sure to put a smile on their face and you never know; they may actually end up sharing the offer with their peers on Facebook, Twitter or Google+. A company that has got this marketing technique down to a T is Graze box. They are currently offering customers their first food-based subscription box for half price and also provide them with a friendcode. The friendcode entitles the customer to their first, fifth and tenth boxes for free and entitles the person who gave out the code to £1 off a box for every friend that joins. People love deals like this, so if you are looking for a way to make your subscription box more appealing to customers, try offering discount codes as incentives. Do you wish you could do more to re-engage users that have exited your Subbly website without subscribing? Well you can! Re-marketing via Facebook or Google Adwords enables you to target ads at people who have visited your website but failed to convert. By showing them relevant ads for your subscription boxes on the websites and social media sites they visit after clicking off your site, you stand a good chance of attracting them back and getting them to complete the call to action. One of the great things about re-marketing is that you will be reaching people when they are most likely to buy. They have already shown they are interested in your product but just need that little extra push to get them to subscribe to your boxes. Using Google Adwords and Facebook you can specifically target certain people with your ads, such as those who have abandoned their shopping cart before completing the transaction. Like PPC advertising, you only have to pay when a user actually clicks on your re-marketing advert, making it extremely cost effective. The ads are also really easy to create on both platforms, allowing you to design eye-catching adverts that are likely to capture users’ attention and draw them back to your website. With Google and Facebook re-marketing, you also get the opportunity to choose where your adverts appear. Re-marketing can really help to boost your conversions, so we highly recommend incorporating it into your subscription box business’s marketing strategy. Another way you can spread the word about your subscription boxes is by using affiliate marketing. This is basically where other people advertise your products and then earn a small commission for every sale they helped you to make. One way you can do this is by teaming up with influencers, such as bloggers in your industry. Affiliate marketing benefits both parties, as you benefit from getting your subscription boxes mentioned favourably in relevant blog posts and the blogger can earn a little extra money on the side. 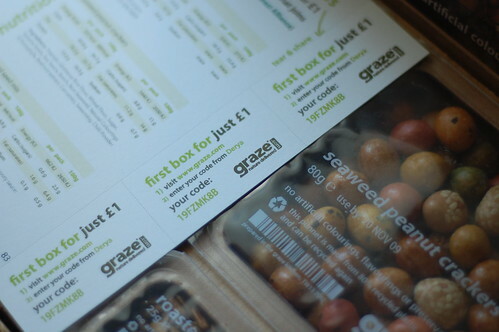 An alternative approach is to do what Graze Box does and send out ‘friendcodes’ to customers. These codes are unique to each customer so Graze can identify who has helped them to get a sign up and reward them for it. Instead of paying customers to advertise their subscription boxes, they simply give them a discount on their own subscriptions, which is great for customer retention. Affiliate marketing will cost you very little but has the potential to really widen your reach and increase your customer base. 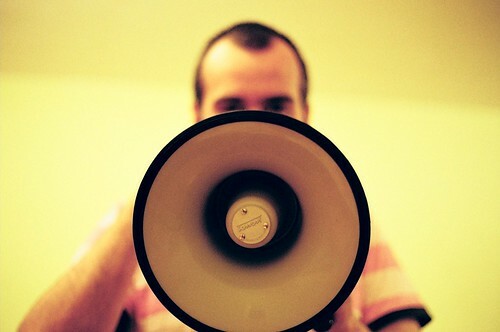 All it takes is one viral video to make your business an online success. It may seem crazy but one viral video has the potential to make your business an overnight success. What’s even better is that viral videos don’t have to be a big budget production – providing the content is engaging and the audience likes it, they will share it with other people. Videos need to spark some sort of reaction from the viewer in order for them to stand a chance of going viral. For example making viewers laugh, making them cry or even making them gasp in shock. One brand that proved a good viral video has the potential to make you a fortune overnight is the Dollar Shave Club. Their entire business was built on one genius video marketing campaign and it has made their subscription boxes a global success. Their humorous YouTube video has over 15 million views and within twenty four hours they received over twelve thousand orders! Their success story just proves that thinking outside of the box and creating a viral video can generate way better results than other marketing techniques put together. It only takes one tweet or Facebook share featuring your marketing video for it to go global. Can you imagine just how awesome that would be? 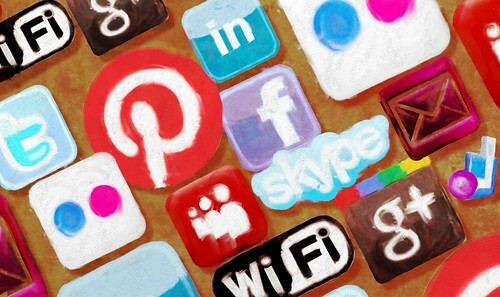 Social media platforms provide a place where you can engage and interact with your subscribers. In this day and age there is no avoiding social media. If you want to engage with your customers on a more personal level, social media websites are the place to do it. Some of the most popular social media websites are Facebook, Twitter and Google+ and it’s good to have a presence on them all. What we will say is that if you plan on using multiple social media websites to promote your brand, it’s important to keep things consistent. Not only should you use the logos and colour schemes that tie in with your subscription box branding but you should also deliver consistent marketing messages. Something else to remember is that whilst social media should be one of your primary marketing strategies, you shouldn’t be constantly pushing your Subbly website links at your fans and followers. If all you do on Facebook and Twitter is share links to your subscription box product page, people will soon get bored of you. Instead you need to use your social media pages to share content that your fans and followers will find interesting and engaging. Encourage them to interact with you on social media by asking them questions and provide them with exciting content that they will want to share with their friends. Turning your social media pages into a hub of information and a place for interaction will generate far better results for your business than if you were to simply populate it with buy links. Something else you may want to consider doing on social media is running giveaways. You do have to be a little more careful about doing this on Facebook (be sure to read up on their guidelines first) but running a giveaway on Twitter is pretty straightforward. All you need to do is send out a tweet explaining what the prize is (e.g. a free subscription box) and how users can enter (e.g. following you on Twitter and re-tweeting your giveaway tweet). Running a giveaway on Twitter is a great way to increase your number of followers and spread the word about your subscription boxes. These are just some of the marketing ideas and techniques that you may want to consider incorporating into your overall strategy. Of course you may also want to do things like work with influencers in your industry but our advice is to get the marketing basics right first e.g. building up a following on social media and work from there. For more information about marketing your subscription box business, head on over to the Subbly blog as they regularly share tips and advice on there too. When it comes to buying and designing packaging for your subscription box it needs to be: 1) Visually appealing and 2) Practical. The more aesthetically pleasing your packaging is, the better experience your customers will have when it comes to opening their boxes. Having said this, your packaging must also keep its contents safe and not be so expensive that it eats into your profits. When it comes to designing the packaging for your subscription boxes, you’ll often find that less is more. Depending on the type of box you are offering, you may want to consider choosing a particular colour (that ties in with your branding) and having your logo printed on top. Alternatively, if you are an organic, rustic or natural brand, you could even just print your logo onto the usual brown cardboard boxes and save even more money. Although the look of your actual subscription box is important, it is even more important to get the inside of the box looking perfect. You’ll be surprised at what a difference a layer of coloured tissue paper and a branded sticker will make to your customers’ unboxing experience! Recycled packaging is often much cheaper to purchase and will also give you green credentials, which may help to win over environmentally conscious customers. One thing to remember is that you don’t have to stick with the same packaging supplier. Of course you want to keep the design of your packaging consistent but we highly recommend shopping around to see who is offering the best deal at the time you are ready to order your packaging. If you don’t have a big budget, try getting your packaging with credit terms. The supplier may take a little convincing but if you can get it on credit, it’ll give you time to raise money from the sale of your subscription boxes to pay for it later. Although starting a subscription box business is fairly straightforward thanks to websites like Subbly, it’s likely that you are going to experience some pitfalls and challenges on your road to success. Here we’ve discussed some of the common pitfalls and challenges associated with running a subscription box business and ways you can overcome them. One of the most challenging parts of setting up your subscription box business is likely to be finding the righting suppliers. It may take a little while for you to find people that are willing to offer you want you want, at the right time and at the right price but it’s better to wait for the right suppliers to come along than to dive in with a supplier that is not quite right for your business. Spreading the word about your subscription box business won’t be easy. Whilst telling friends and family about it will help with word of mouth marketing, you will also need to think about marketing your business online. Learning things like search engine optimisation and how to use social media effectively can take time but once you’ve got the knowledge stored away, you’ll be able to use it effectively to your advantage. Delivery delays are always a possibility and if you’ve already sent your orders to the Post Office or out with your carrier, it will be out of your hands. The best way to deal with delivery delays is to keep your subscribers in the know. Provide them with updates on social media and email them a discount code as a goodwill gesture. When you start a business, you need to understand that not everyone is going to like what you have to offer. It’s inevitable that at least one person won’t be happy with what they have received and will either ask to return it or complain about it on social media. The best way to deal with this is to write a good returns policy for your Subbly website. Responding to unsatisfied customers on social media is always recommended but avoid taking offense. Instead reply saying that you are sorry to hear they are unhappy with their order and direct them to your returns page. Don’t forget to check out Subbly to get your box started today! How do you go about partnering with other companies when you haven't broken ground with your product? How do you go about partnering up with companies when your haven't broken ground yet with your product? @digitalmediaguy You can also equally just link Subbly from your site the same way :) You're right though, PayWhirl is good. Edit: Subbly now has an embeddable widget / checkout you can add to any site super easily.